Greenroyd Bowling Club exists to provide its members with a welcoming, informal environment in which they can relax,enjoy good company and socialise freely. Importantly, it provides the opportunity to make lasting friendships. There are numerous social events throughout the year, including an Annual Dinner Dance, raffles and club dinners, all intended as primarily social events but also raising funds for improvement to the club house. The club remains open throughout the year. 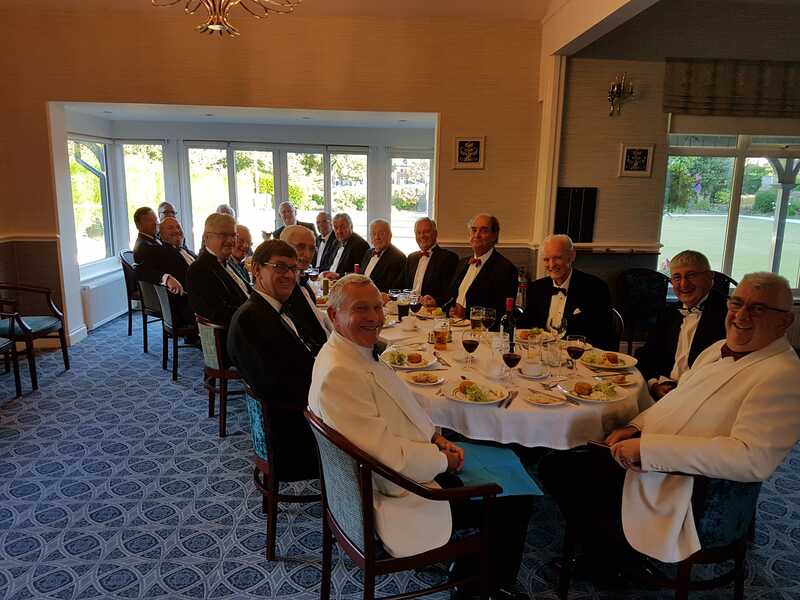 Past and present Presidents gathered for a very convivial meal enjoyed by all. Greenroyd boasts a well stocked bar offering drinks at reasonable prices. The Clubhouse and it’s facilities are available for private functions both to Members and others, providing that this does not prevent the regular use by members, nor planned social events.